SET SAIL FOR AN ACTION-PACKED TALL SHIPS WEEKEND! 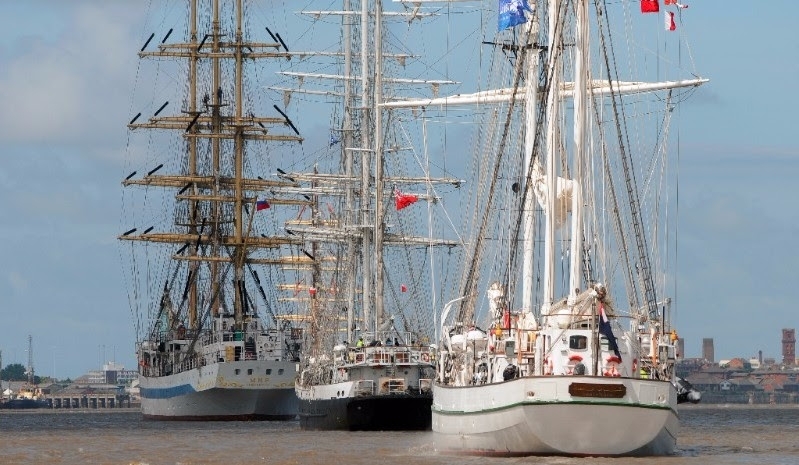 Some of the most beautiful vessels in the world will grace the River Mersey over the late May Bank Holiday weekend, as the Tall Ships make a triumphant return for theThree Festivals Tall Ships Regatta, which runs from 25 – 28 May. During the festival, Wirral and Liverpool are hosting an exciting line-up of family-friendly events to celebrate our maritime connections – past, present and future. Wirral’s waterfront will ring with the sounds of the sea, with specially commissioned creative performances by local groups as well as internationally renowned artists. The programme of entertainment and events has been organised by Wirral Council as part of the Imagine Wirral initiative. To see the Tall Ships in all their glory, New Brighton will be the place to be on Monday 28 May. The ships will be making their way onto the river for the Parade of Sail before sailing into Liverpool Bay for the start of their race to Dublin. Read on to find out more about what’s in store for the Tall Ships weekend. More information will be added to the Imagine Wirral website closer to the weekend. Follow@ImagineWirral on Twitter for updates.